Being Happy With Neil | Miguelito's Little Green Car. We are all connected. 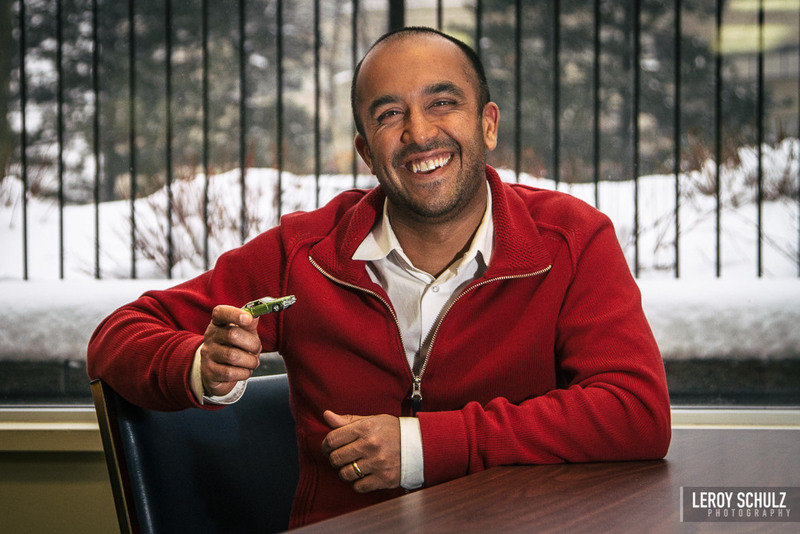 Neil Pasricha is the New York Times-bestselling author of The Happiness Equation and The Book of Awesome series, which has been published in ten countries, spent over five years on bestseller lists, and sold over a million copies. Pasricha is a Harvard MBA, one of the most popular TED speakers of all time, and after ten years heading Leadership Development at Walmart he now serves as Director of The Institute for Global Happiness. He lives in Toronto with his wife and sons. Neil was born in Oshawa, Canada. His mother is from Kenya, his father India. In the last few years he’s spoken to over 200,000 people at hundreds of events. While studying at Queen’s University he wrote for a campus humor newspaper. That lead to a gig in New York City working for a humor syndicate with former Saturday Night Live and The Simpsons writers. In total, he’s sold over 1 million books. He once owned and operated a Quiznos Sub franchise.